With over 10 years of experience in the insurance industry, Joe Haskins exemplifies MMA’s client-focused and colleague-focused approach. 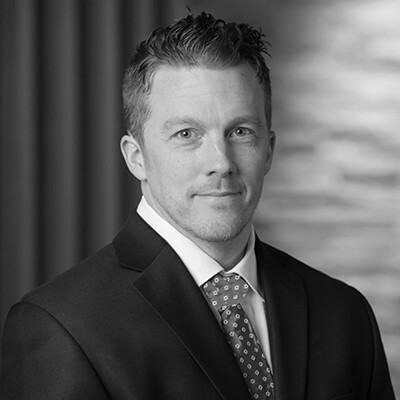 He believes strongly that a solid team foundation is what allows him to build relationships with clients, and work closely with them to create individualized risk management solutions. In his role at MMA, Joe partners with organizations to help manage their commercial insurance programs. The majority of his time is spent working with organizations that are looking to develop a more comprehensive risk management strategy. In particular, his background in working with captives and alternative financing options has afforded him the ability to provide solutions to clients that might be “outside the box”. Joe defines success with his clients as being able to earn their respect, and even their friendship during the course of working together. This is important to him as he believes that insurance is at heart a business built on relationships. Outside of work, Joe enjoys spending time with his family, and engaging in typical Minnesotan pastimes like golf, fishing and hunting.